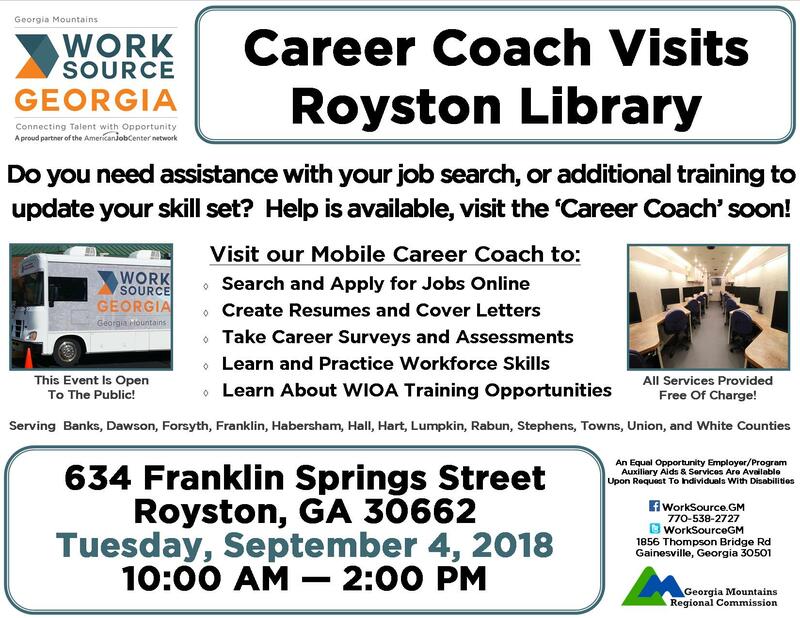 The WorkSource Georgia Mountains Career Coach will help local residents search & apply for jobs, write resumes & cover letters, discern their career interests, and learn about WIOA funded training opportunities. This is a public event, and there is no charge for these services. For more information call 770-538-2727. 634 Franklin Springs St., Royston, GA.